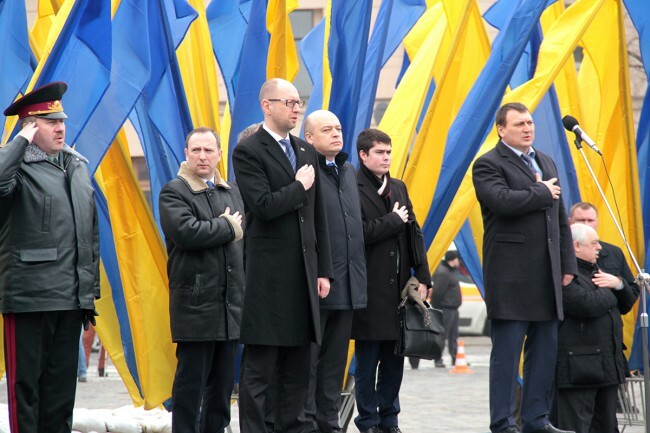 The Head of European Union Advisory Mission, Kęstutis Lančinskas, along with the Prime Minister of Ukraine Arseniy Yatsenyuk, Minister of Internal Affairs of Ukraine, Arsen Avakov, and the Head of the EU Delegation to Ukraine, Jan Tombinski, travelled to Kharkiv in eastern Ukraine today for a ceremony to mark the rollout of the responce police model that has already taken root in Lviv and Kyiv regions. The model improves the response times of police to call-outs and service delivery and, as a result, aims to enhance trust between local communities and police officers. It was initially a joint initiative of EUAM and Lviv Regional Police, and first implemented in Sambir (Lviv region), where it achieved some impressive results – response times were reduced significantly. Under the initiative the length of time on duty for officers is also being reduced from 24 to 12 hours, which adds to the quality of service they can deliver to local communities.